Our culture has a tendency to fall in love with technology. It doesn’t matter if we’re talking about television sets, telephones, or medical treatments, the cooler and newer the technology, the more we seem to believe in its capabilities. But just because the technology is there, it doesn’t mean you have to use it, especially when it comes to your health. Sometimes, traditional or natural treatments are just as effective—if not more effective—than the latest and most talked about methods. In fact, new research is proving my point. I came across a new study that indicates that in some cases, arthroscopic surgery is no more effective than anti-inflammatory medications or physical therapy for meniscus tears in the knee. For people in their 50s with chronic, age-related tears in the meniscus or mild arthritis, arthroscopic surgery appears to offer no long-term benefits. A meniscus tear is a common knee injury that can cause pain, swelling, and a loss of movement or stability. Arthroscopic surgery involves the use of small cuts to insert a small surgical camera and any required tools into your knee to repair the meniscus or otherwise treat your injury. In relation to other treatments for meniscus tears, arthroscopic surgery is rather technologically advanced. But in this study, a research team from the University of Western Ontario found that five years after the procedure, this technologically advanced procedure offered no difference in pain or functionality for people who had the surgery compared to those who didn’t. This is a pretty big deal for anyone in their 50s suffering from mild arthritis or knee pain. By adopting a physical therapy or exercise routine and relying on anti-inflammatories, of which there are many natural options, you might be able to treat your knee pain without going under the knife. Plus, these methods could save you all kinds of stress, time, and money. This doesn’t really come as much of a shock to me, because I’ve witnessed the power of exercise when it comes to healing. A friend of mine suffered a serious knee injury when he was younger, one that would normally be treated with surgery. He elected, however, to avoid surgery and bring his knee back to health through physical therapy and strength training. Granted, at the time he was a young man with a resilient body, but the injury was serious, so this was no easy feat. Just because technology seems to be synonymous with advanced health care in mainstream society doesn’t mean that the technology-based treatment is the best. In my opinion, if a person can avoid surgery, they should, especially if it’s no more effective than other treatment techniques. 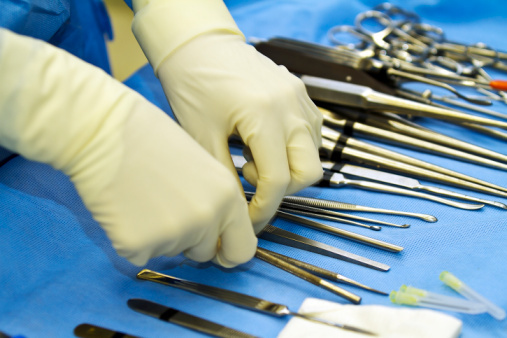 Be sure you know the pros and cons of all your treatment options before making the decision to go under the knife. “Study Questions Value of Certain Knee Surgeries,” MedlinePlus web site, August 25, 2014; http://www.nlm.nih.gov/medlineplus/news/fullstory_148036.html.